Enso Vest. 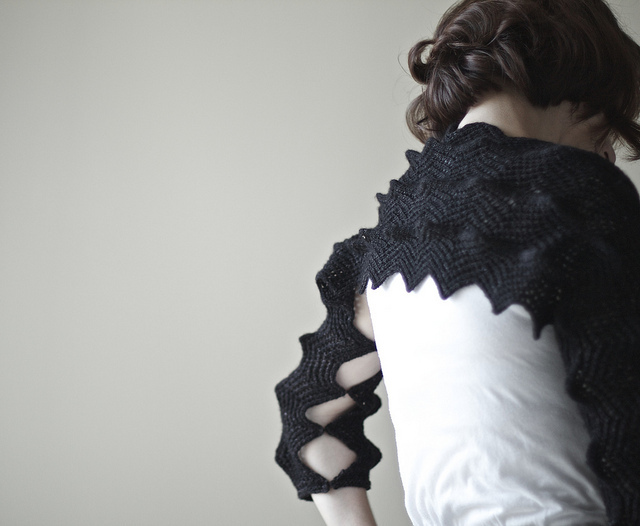 Olga has a great feel for structural knits & this is such a fab statement piece. Also, OT: how awesome are those matching tights? Foggy Hat! I featured this as one of my favourites in my last newsletter too. I just love the lace pattern. And then there is the fascinating Infinite Loop, just watch this video! 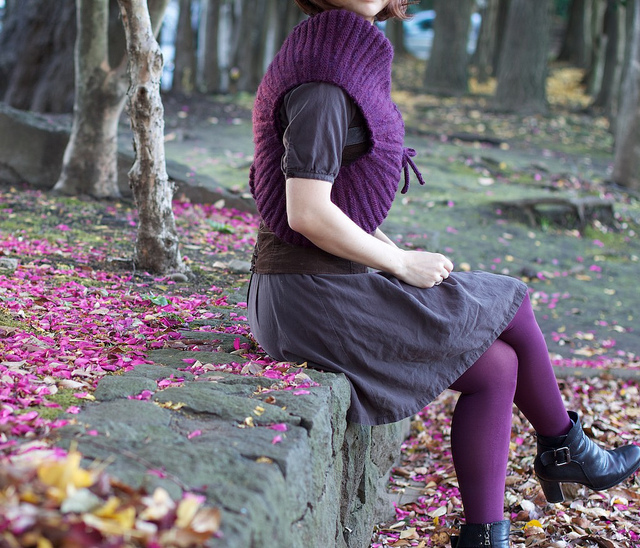 Here’s Olga’s Ravelry Store & her Designer Profile on Ravelry if you’d like an overview of her designs. What delights me about this form of giving is not only supporting the crafting community, but also demonstrating that it isn’t always easy to distinguish what might seem like a “trivial hobby” from the Grand Happenings of natural disasters, nuclear threat and high & mighty politics. When it comes to helping people, there is really no scale. 19th March, 2011 // Life // tags: aid, designer, donation, japan.